2 homes on 1 lot! 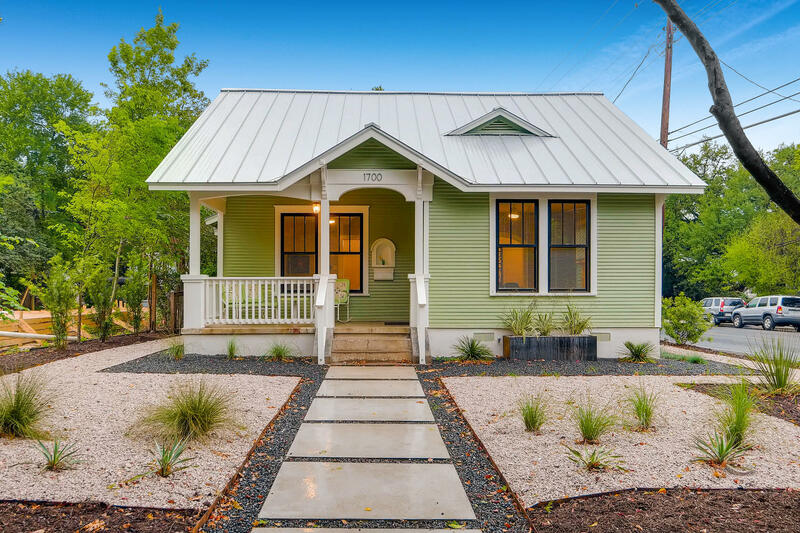 Located in the coveted Travis Heights, this restored craftsman is the perfect blend of old world charm meets modern design. The 1930s front bungalow features the original charming hardwood floors, covered front porch, archways and built-ins while offering fully upgraded features such as brand new: windows, foundation, metal roof, electrical, plumbing, insulation, tankless water heater, paint and more. The back house is a brand new second home, never been lived in! Continuing the charm of the 1930s front house, this 2 bedroom/1.5 baths + office home offers a full kitchen, laundry, hardwood floors AND originally built to be a work space for editing, this home offers double insulation for complete privacy. Entire yard is zero scaped. Conveniently close to Stacy park, South Congress, Rainey, the convention center and airport. Furniture, refrigerator(s) and washer/dryer are negotiable with strong offer. The front house is a single story 2 bed/2 bath. the back house is a two story 2/1.5 with an office. The front house is 1337 sqft and the back house is 1016 sqft.